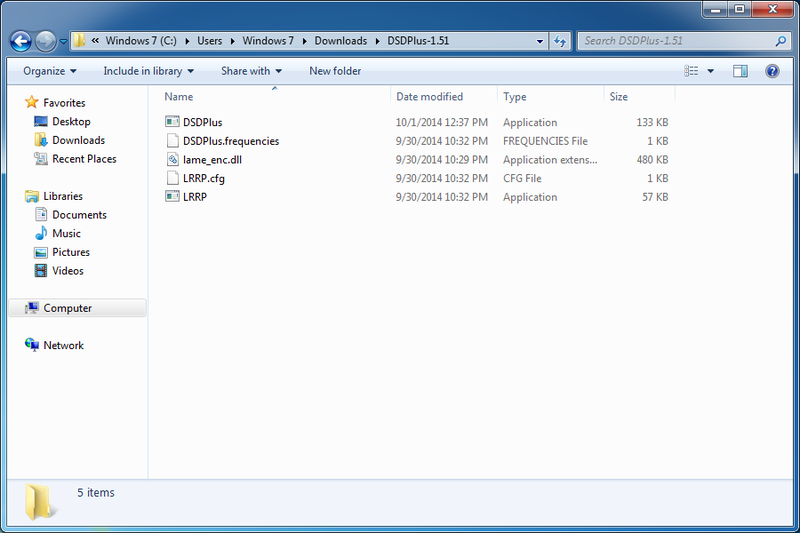 DSDPlus takes the received RF signal and decodes the metadata and plays the voice calls through the speakers. It can decode many digital voice formats including D-STAR, NXDN4800, NXDN9600, DMR/MotoTrbo, P25 Phase I, X2-DTMA, and ProVoice. 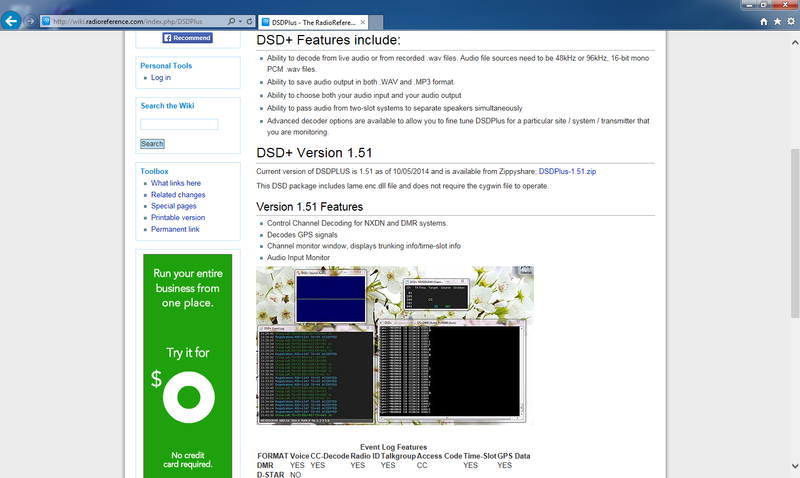 Under DSD+ Version 1.51, click the download link. You will be taken to a download service. Click Download Now. Save it in your Downloads folder. 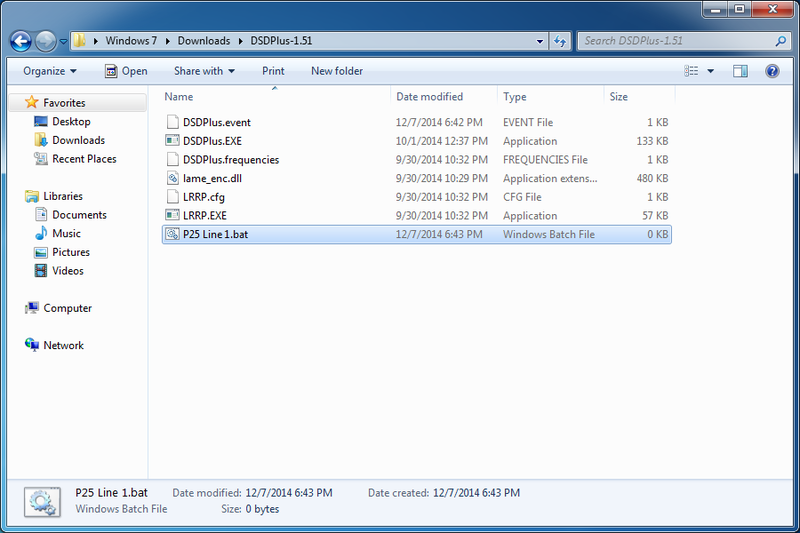 Extract the DSDPlus-1.51 zip file using the Windows compressed folder utility or 7-Zip. Right-click on the compressed folder and click Extract All. A new window will open. Double-click DSDPlus. Hate these things. Uncheck Always ask before opening this file. A total of 4 windows will open. This window will display the input and output device numbers for enabled audio devices on the computer system. The Virtual Audio Cable device is input device #1. The audio out (speakers) is output device #1. These numbers sometimes change if sound devices are added, removed, or defaults are changed. 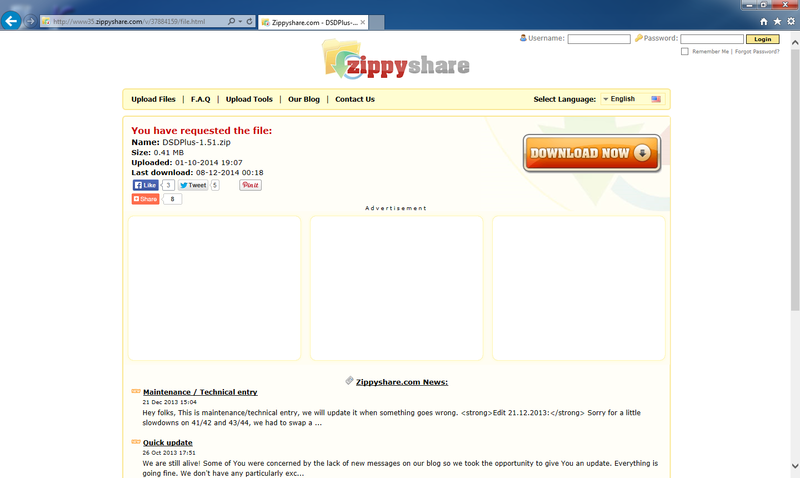 To create this next part, you will need to show the extension of known files in Windows. This is off by default. If you are in category mode, click Appearance and Personalization. Under Advanced Settings, uncheck Hide extensions for known file types. Right-click in the directory listing, select New. Enter P25 Line 1.bat. Remove the .txt ending (extension). You will get this message about changing the extension. Click Yes. At this point, if you changed the Folder Options to Unhide Extensions of known type, you can change it back. 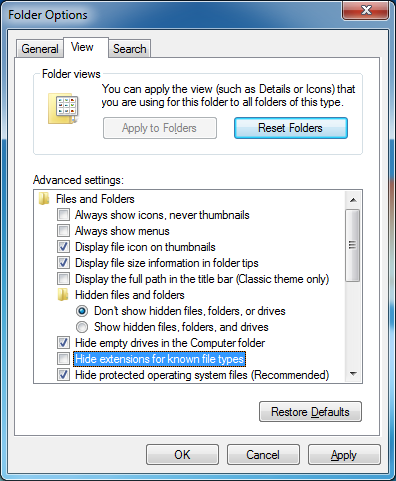 Click OK on Folder Options and close the Control Panel. Right-click P25 Line 1, and click Edit. 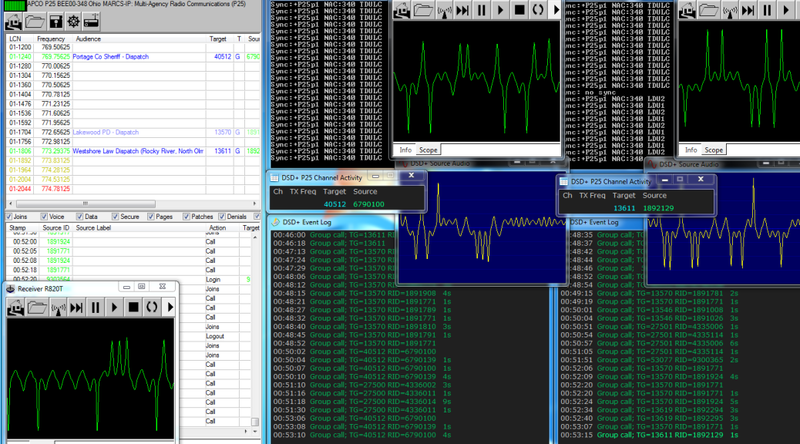 Here are the commands to tell DSDPlus to decode CQPSK P25 modulation. A C4FM site will need to have “-mp” option removed. If you’re not sure, information will be provided later. Change the input and output device numbers. The parameters above are set to not create any logs or recording files. 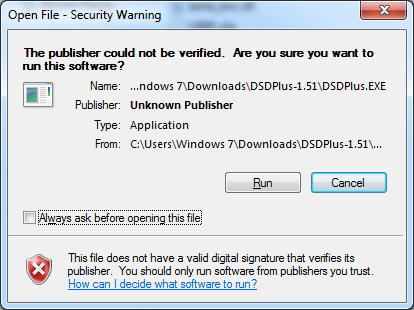 To find what these options mean or to change any of them, see the list of DSDPlus Options. 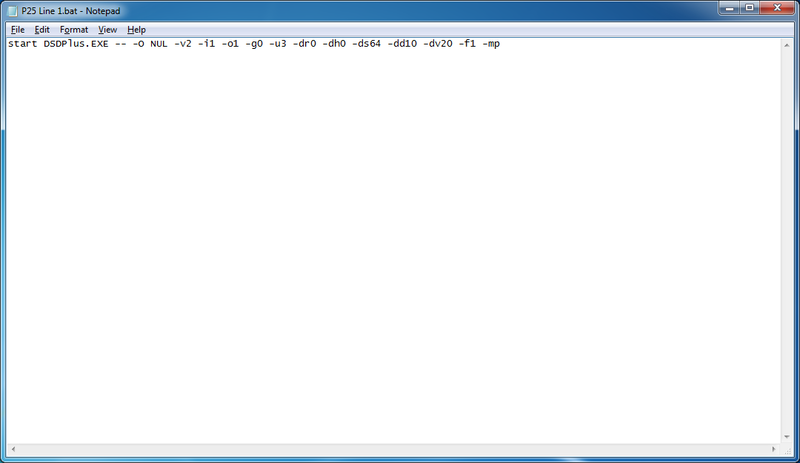 Click the X to close Notepad. 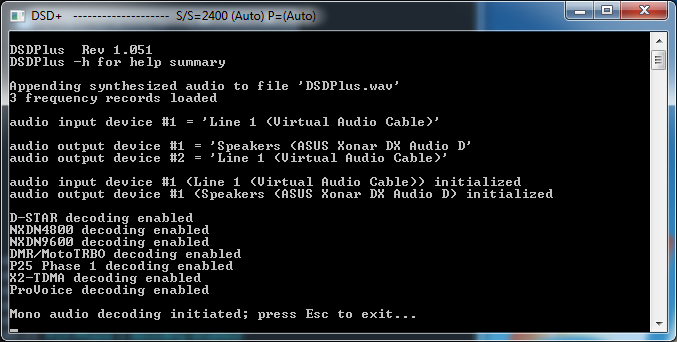 The command line courtesy of the SDR# plugin: GUI interface for DSD+.